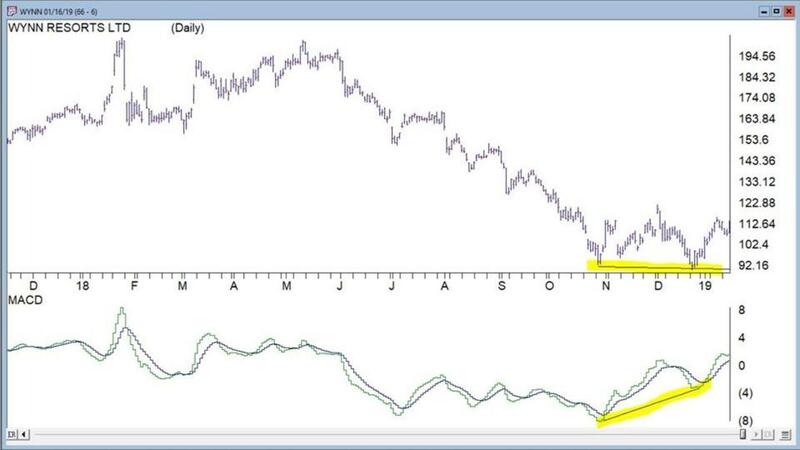 Note how WYNN had another 30 min up divergence late Monday to add fuel to an already divergent daily chart! That’s how you successfully trade a new entry to an existing pattern! Low time frames form “another” divergence in the same direction as the higher time frames!